The Pain Community (TPC) advocates for policies that will improve access to quality care for all people with pain. To do this, we are committed to work other advocacy and support organizations. It is essential that the voices of people with pain are heard and considered an important/required part of any legislative and regulatory process that can potentially impact their life. A pain Information & Resource Exchange project of the Center for Practical Bioethics: formed an alliance of leaders working in professional societies, patient advocacy organizations, policy groups, people with pain, payers, and the private sector working together toward a common vision and mission in response to the Institute of Medicine’s report, Relieving Pain in America, which was submitted to Congress in 2011; core mission to advocate for and act collectively to actualize the IOM recommendations in a sustained effort to improve the delivery of pain in America. 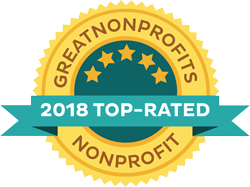 Established in 2005, the PCF is a broad-based coalition of over sixty-five organizations (professional, consumer advocacy, and public and private companies) devoted to the relief of pain. The goals of the Pain Care Forum are to provide for the exchange of information and ideas regarding public policy issues surrounding the treatment of pain, and to coordinate and focus members’ common interest and action on pain care policy with a concentrated focus on federal issues. A state pain policy information and education project of the American Academy of Pain Management: dedicated to promoting person-centered care for people affected by pain through advancing effective pain policy, and building a network of advocate leaders who can respond in a coordinated way across all states; represents a coalition of advocacy leaders from a variety of health care, pain care and patient advocacy organizations and groups: tracks, analyzes, and informs about all pain care-related state policy.